The village of Roxburgh as it exists today is barely noticeable, as it quietly gets on with its farming business by the banks of the River Teviot in the Borders heartland. But in the Middle Ages there was a town of the same name about a mile away, which was of great importance as one of the nation’s four royal burghs. Its castle, a royal residence, is visible only as an earthwork and a few stones on the river to the south of Kelso. It fell into English hands on several occasions, as the border tossed before and behind it, and became fixed in Scotland only in 1460. The present Duke of Roxburgh has his seat in this mansion, with 55,000 green acres around it. It was designed by Vanburgh, built in 1725 by William Adam and augmented by Playfair in the middle of the 19th century. 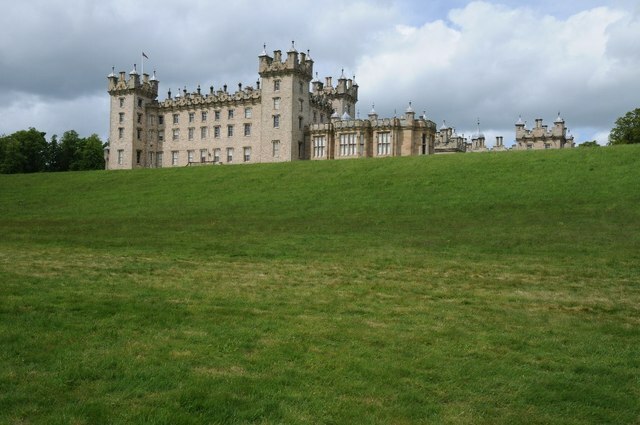 Floors Castle is a hidden gem and worth a visit on your chauffeur tour of Scotland.